Famous tourist resort which stands on the shores of the second largest lake in Trentino. 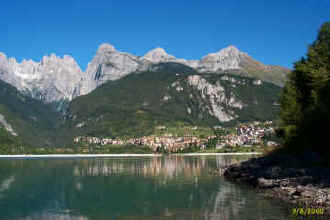 Molveno is the nearest town to the central peaks of the Brenta Group. If has quality sports and accommodation facilities. 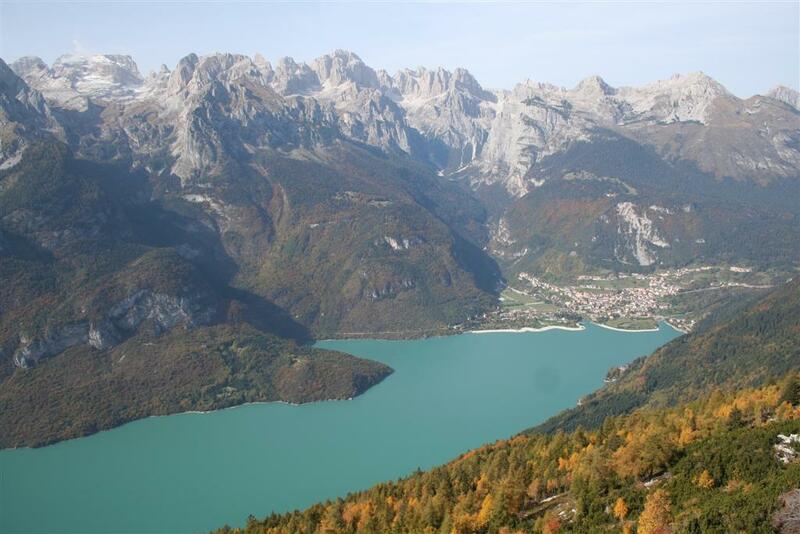 Excellent opportunities for walks and excursions into the heart of the Nature Park and onto the Paganella mountain. Of interest are the church of San Vigilio (recently resotored) and the old Taialacqua Venetian sawmill. Areas to visit near the Brenta Group Rifugio Malga Andalo, Selvata Refuge, Croz Altissimo Refuge, Montanara Refuge, Pedrotti Refuge.